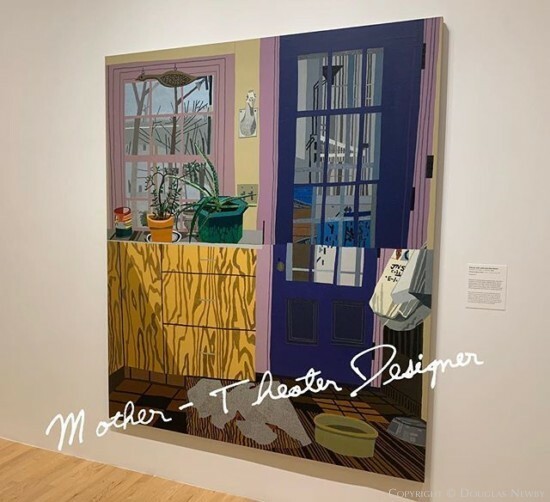 Not everyone grows up with their kitchen woodwork painted purple, but not everyone has a mother like artist Jonas Wood’s mother who was an artist and theater designer. We can see the colorful expression that artist Jonas Wood grew up with from this painting of the family home in Weston, Massachusetts, where he was raised. He was the beneficiary of this colorful exuberance as a child. We are the beneficiaries of his exuberant art now. The joy of Jonas Wood’s work seen at the Dallas Museum of Art solo exhibition spilled over to the people that attended his opening at the DMA. His art is strong, expressive, and brings a smile to the viewer.